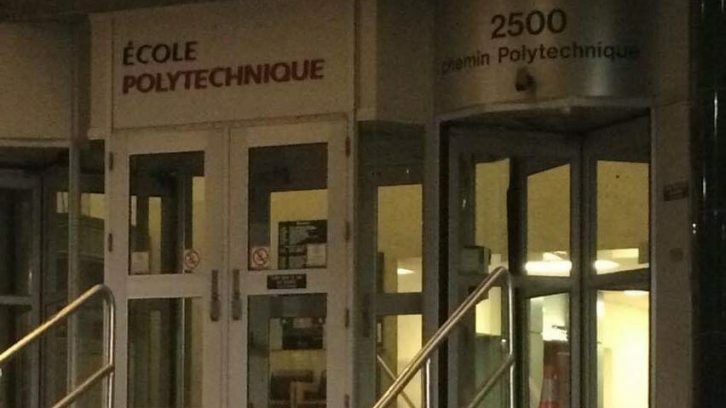 The Women’s Community Space will be screening Polytechnique, a film that depicts the 1989 Montreal Massacre, as part of the group’s annual Not-So-Silent Vigil on Thursday. Susanne Litke, an organizer from the women’s rights advocacy group, hopes the screening serves as a “call to action” in the fight against gender-based violence. The Women’s Community Space has traditionally observed Dec. 6 with a candlelight vigil, followed by music, speeches and poetry. This year, they will be partnering with Halifax Central Library for a screening of the 2009 film. The only other time the Women’s Community Space incorporated a screening of Polytechnique into their vigil was when the film was first released. On Dec. 6, 1989, gunman Marc Lépine entered Montreal’s École Polytechnique engineering school, murdering 14 women and injuring 10 women and four men before taking his own life. Most of his victims were engineering students. Lépine claimed to be motivated by his hatred of feminists and targeted female students specifically. As a result of the massacre, Parliament declared Dec. 6 the National Day of Remembrance and Action on Violence Against Women in 1991. The film, Polytechnique, directed by acclaimed Quebecois filmmaker Denis Villeneuve, was released 20 years after the massacre. Although it depicts the event in explicit detail, the film was shot in black and white to make the bloody violence less intense. Polytechnique also opens with a disclaimer that character names have been changed out of respect for the victims. It ends with an in memoriam to those who died. Alison Black, event organizer for Halifax Central Library, said library staff were careful to include a disclaimer about the film’s graphic nature on the event page. She agrees with Litke that, although the film could be disturbing for audience members, it’s important for people to see. “For people who attend the vigil, I think it’s going to be a really important way for them to really feel those tough feelings that they’re commemorating,” says Black. Black says the Women’s Community Space will introduce the film and hold a discussion afterwards to provide context. The group will also host a healing circle after the film, which will include a traditional Indigenous smudging ceremony. Thursday’s candlelight vigil will begin at 5:15 p.m. outside the Halifax Central Library. It will then move into the library for further activities and the screening in Paul O’Regan Hall.